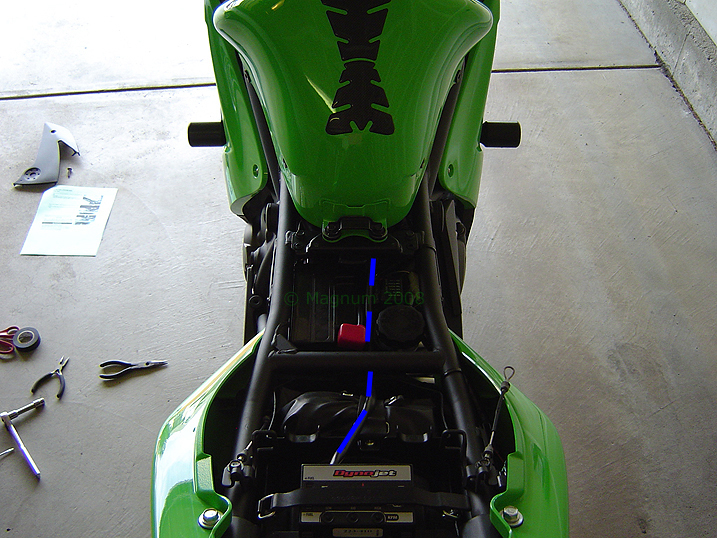 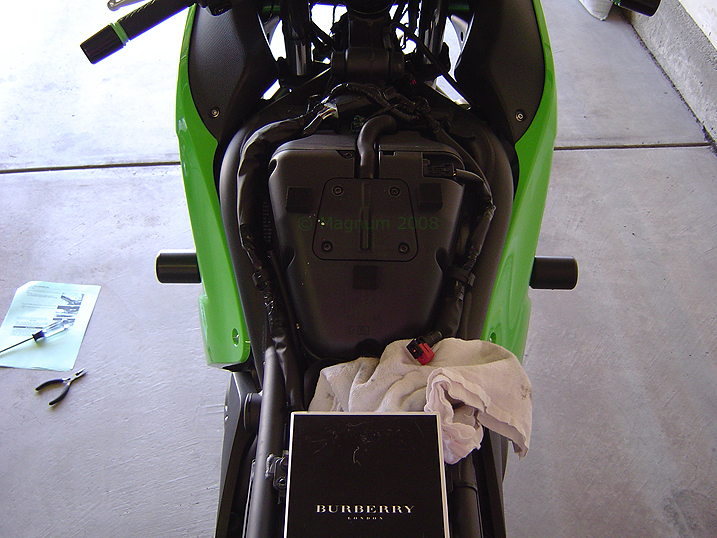 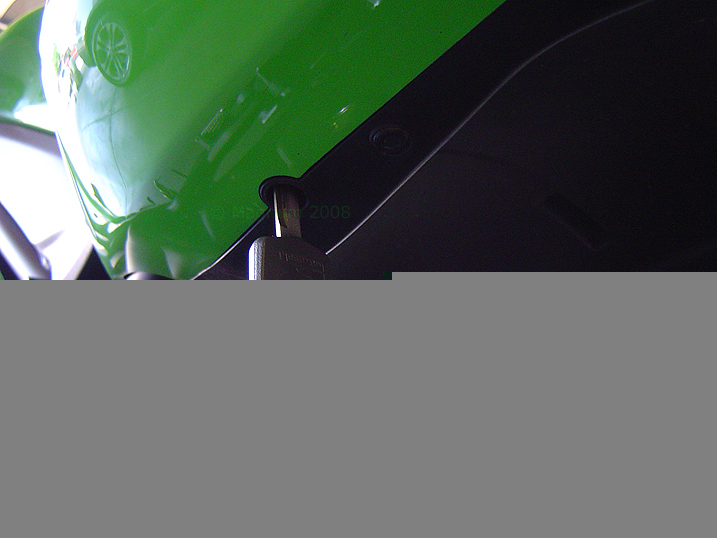 With the addition of my Arrow Exhaust Slip On I also added a DynoJet PCIII USB which will give me more tuning options. 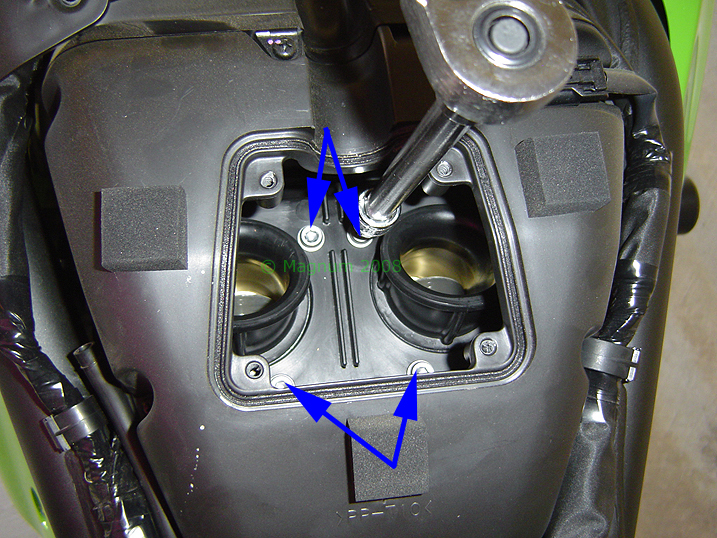 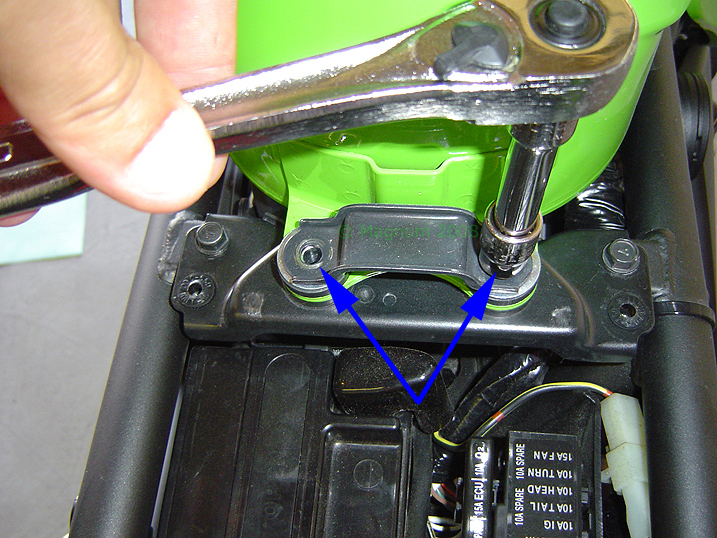 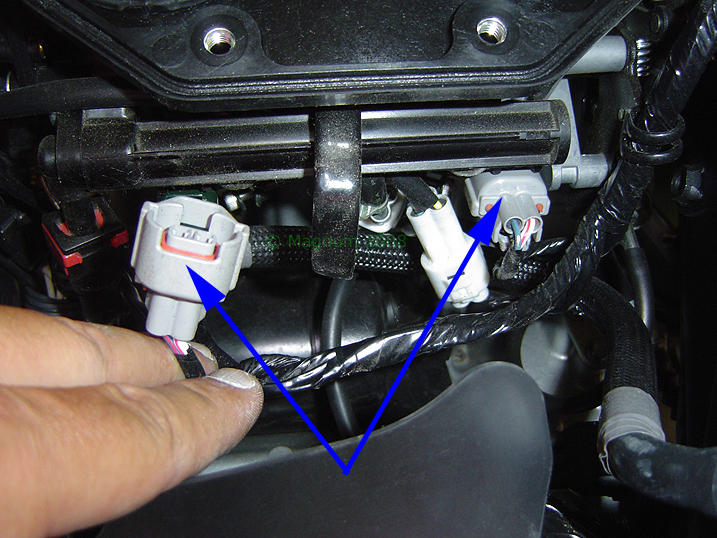 This isn't necessarily required, but if you do not add one or plug the pair vale there is a possibility of getting some backfiring on deceleration. 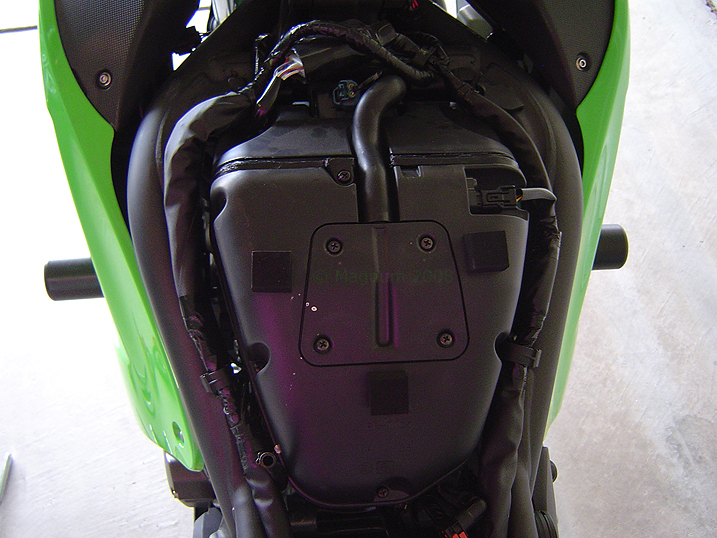 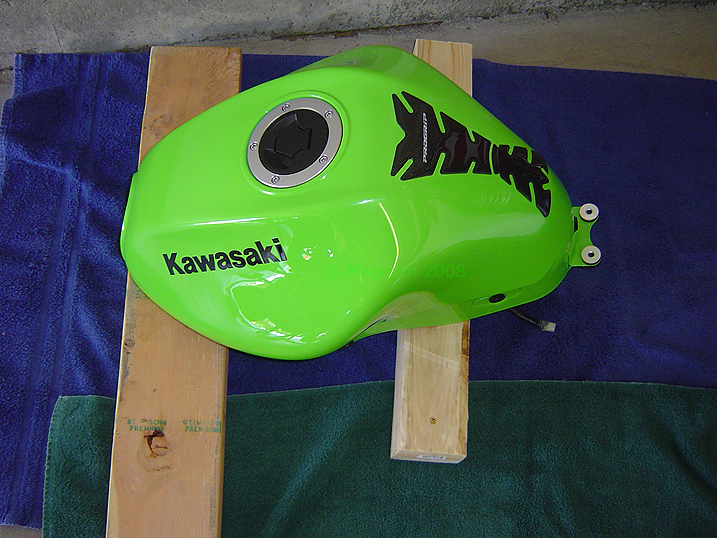 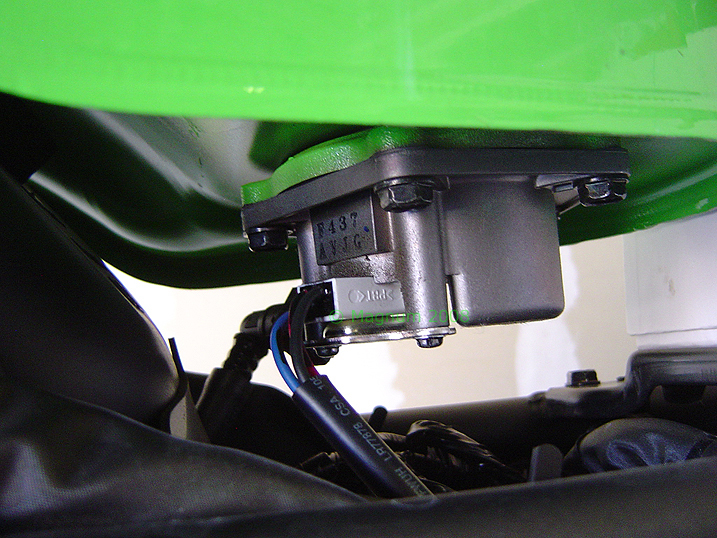 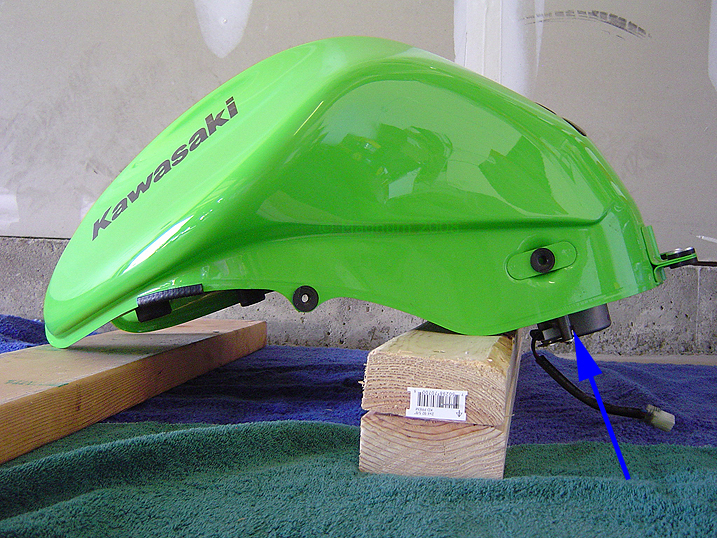 Here’s what it looks like, now reinstall the airbox in reverse. 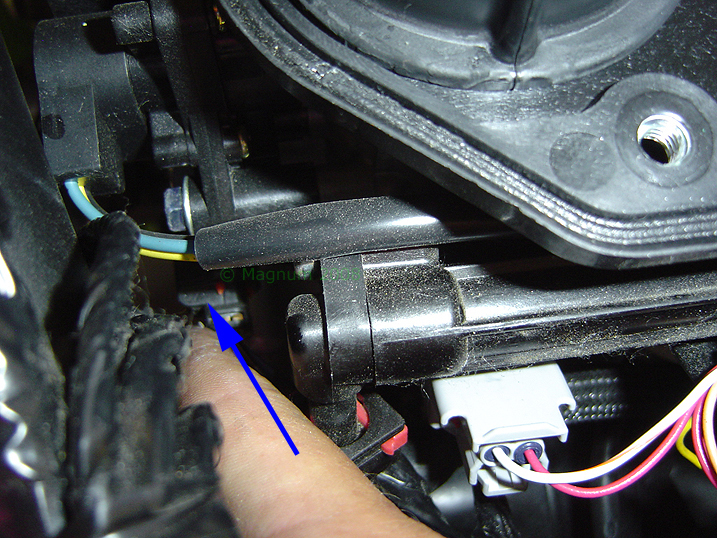 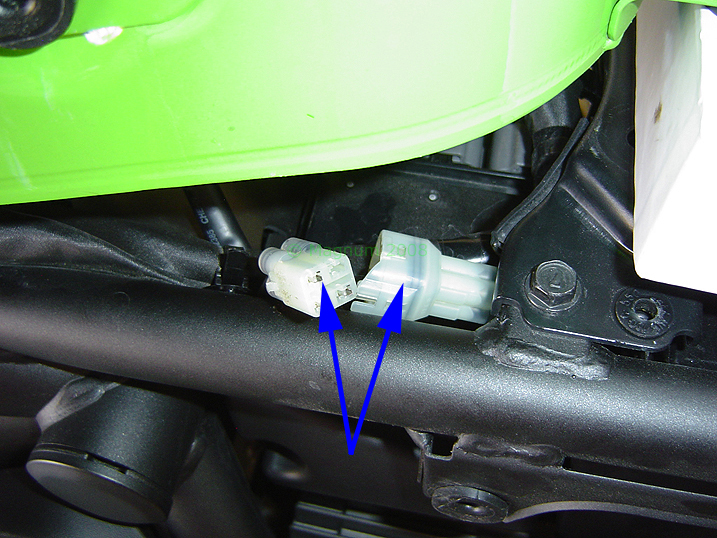 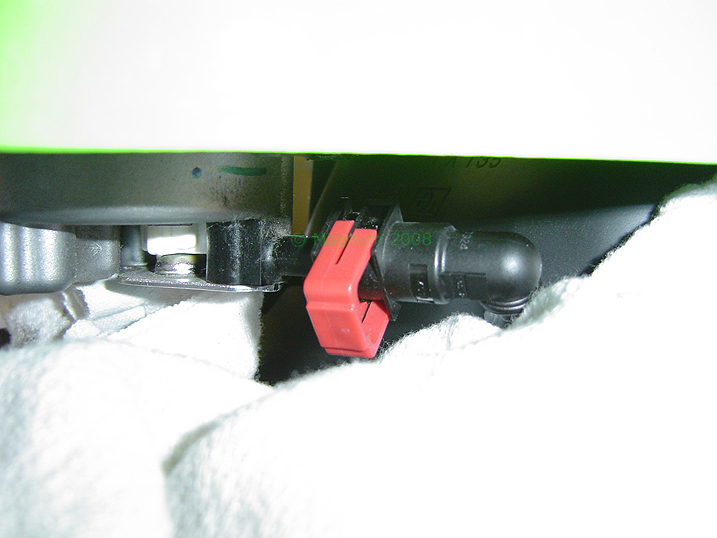 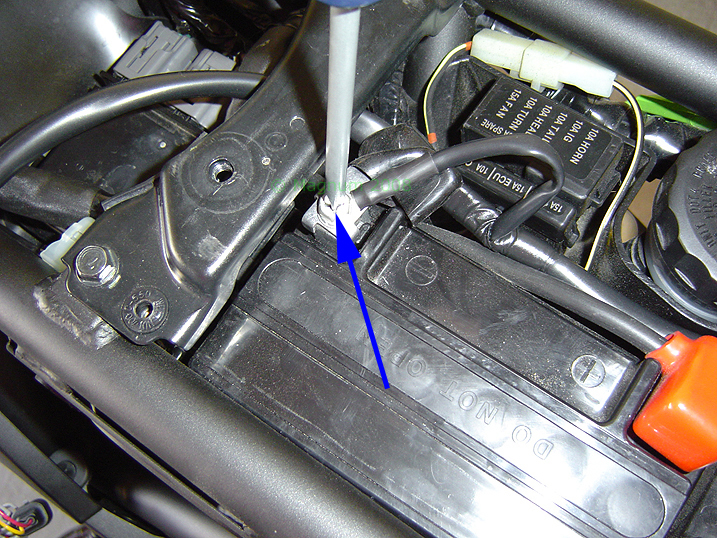 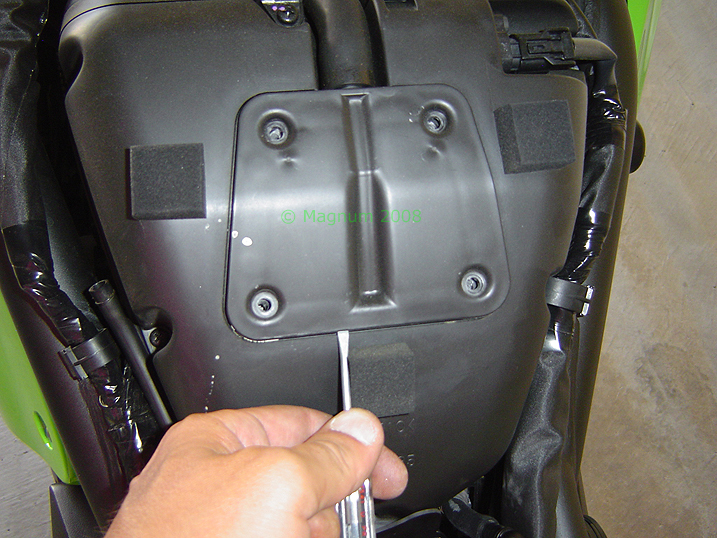 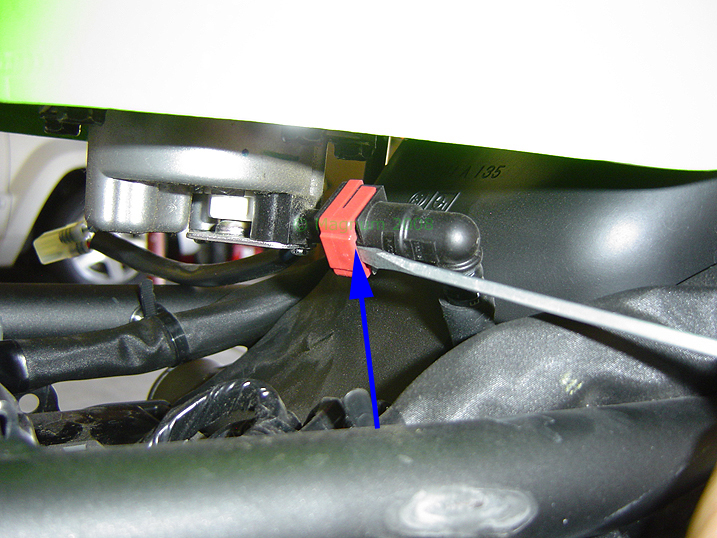 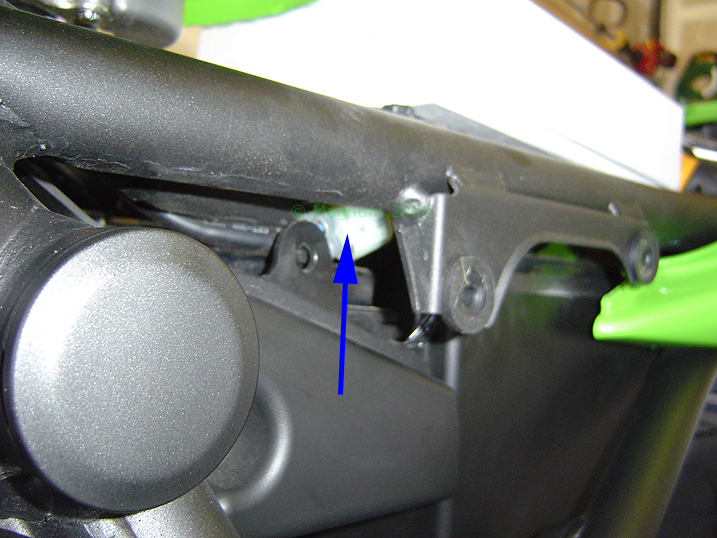 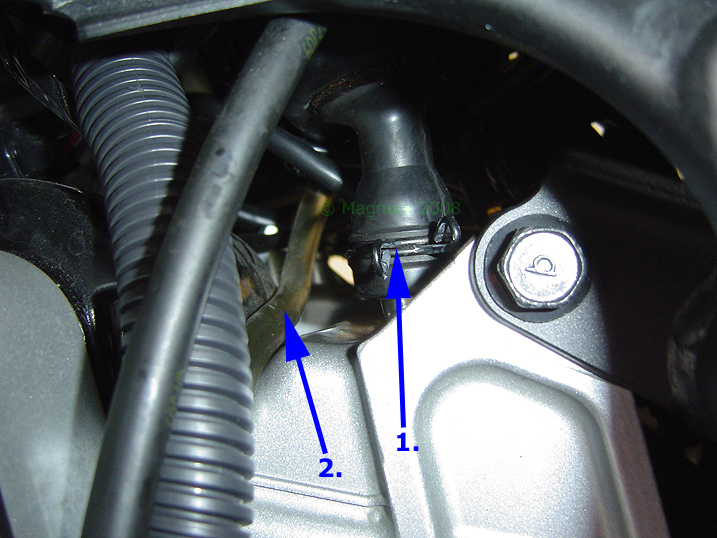 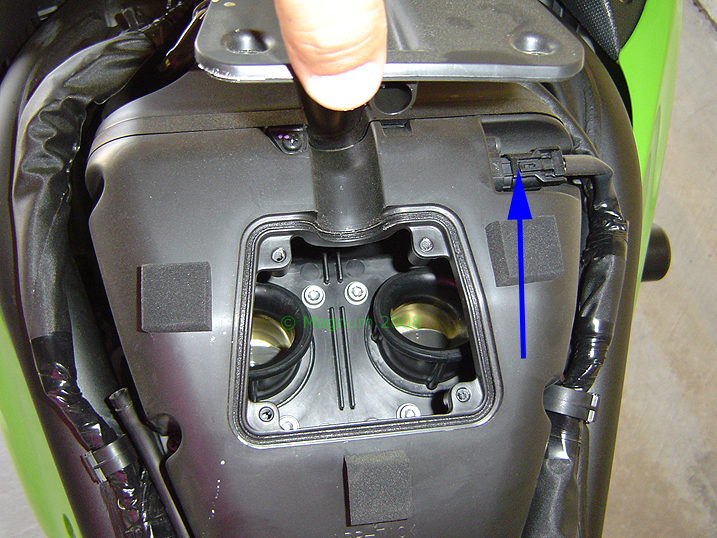 DON’T forget to route the air filter drain tube down through and DON’T forget to hook up the breather hose. 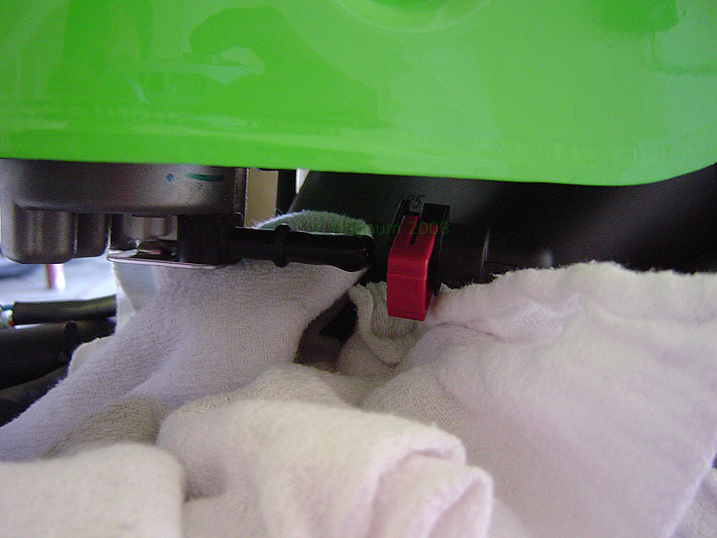 And here is the end result, PCIII and new filter installed. 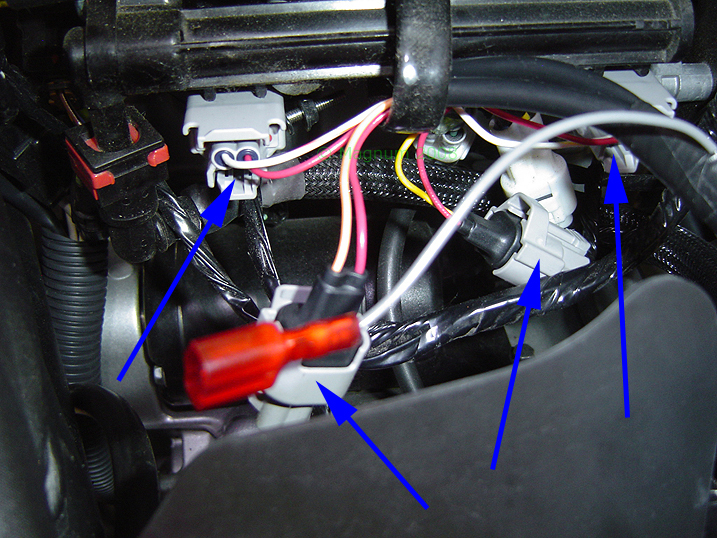 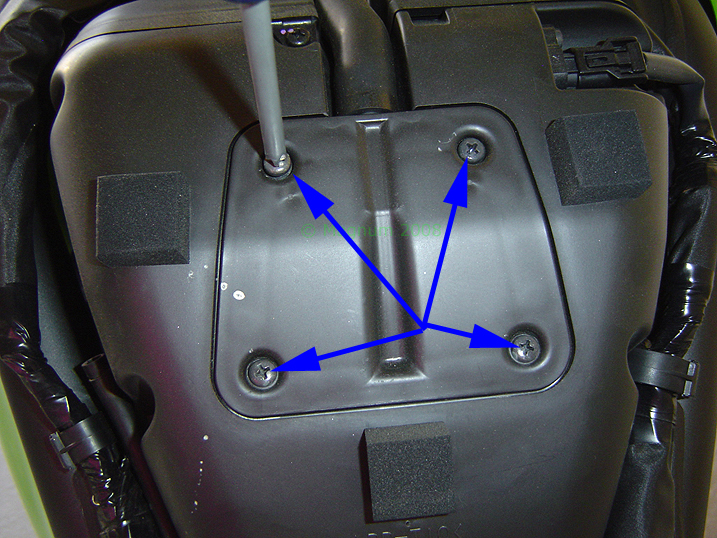 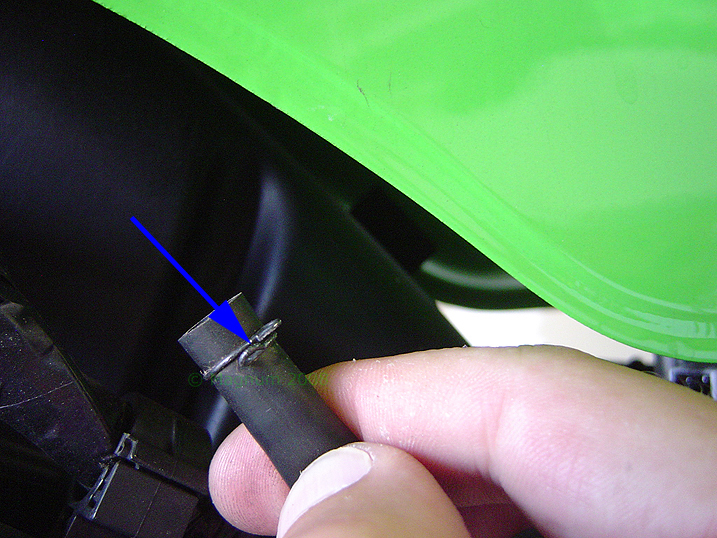 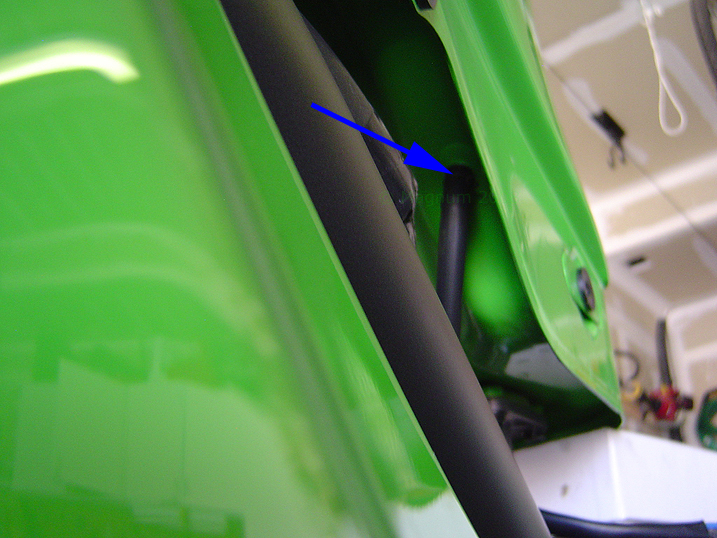 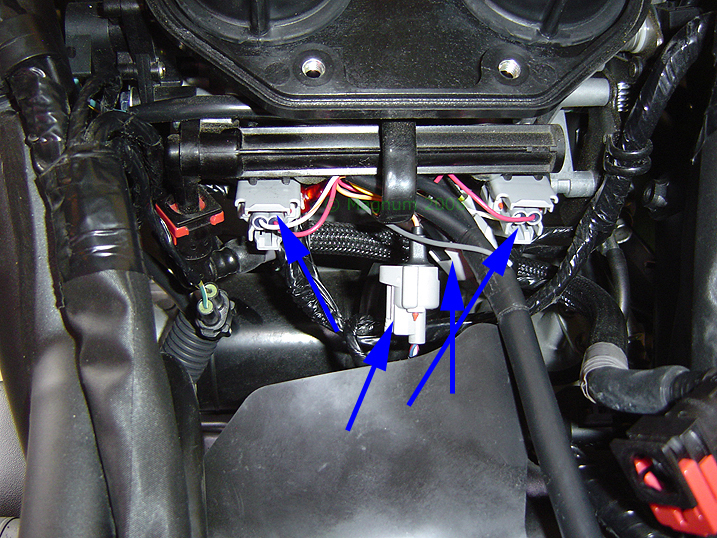 The blue lines highlight how the PCIII harness routes through and as you can see I mounted it towards the tail and secured it with the factory bungee cord.